New Service Request - Respect Technology, Inc. 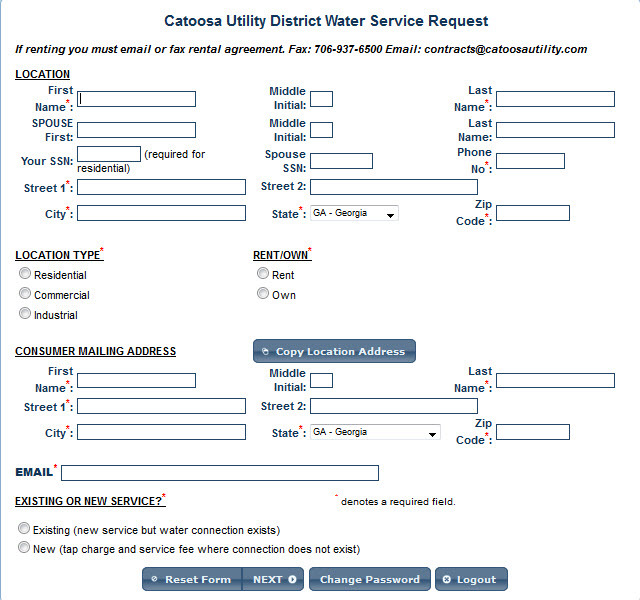 This application allows utility customers to apply for new service remotely. it saves the customer from having to make a trip to the utility office. Fees can be collected via the internet and service orders can be initiated electronically.